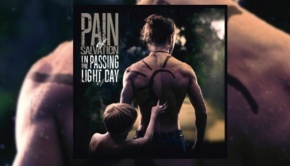 Sweden’s Pain of Salvation are surely one of the biggest puzzles in prog. 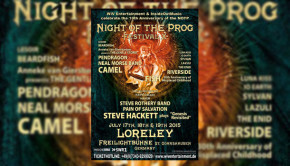 Bursting onto the scene in the late 90’s, they took the prog metal scene by storm with their debut album Entropia and followed it up with One Hour by the Concrete Lake, The Perfect Element Part 1 and Remedy Lane – each one better than before and Remedy Lane still considered their zenith. Following this, the mercurial Daniel Gildenlöw took the band through some unexpected turns. Firstly we had the unplugged album, 12:5, which rather stalled the momentum, then the overly-ambitious musings on the nature of God and humanity that was Be. The very patchy Scarsick came next followed by the two quirky Road Salt albums, with their overtly retro-production. During the period since Be there has also been some churn in personnel that even would put Yes to shame. Perhaps the most seismic was the departure of Daniel’s brother, Kristoffer, who was kicked-out in 2006 after his relocation to Holland following his marriage to Liselotte Hegt (Cirrah Niva). 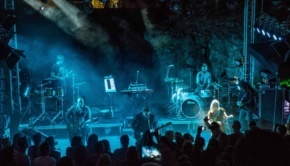 Kristoffer’s distinctive bass style was somewhat integral to the band and they struggled for years to replace him, with Daniel playing bass on the subsequent albums. Johan Langell (Drums) departed in 2007 followed by Johan Hallgren (guitar) and Fredrik Hermansson (keyboards) in 2011. Falling Home is the re-booted band’s first recorded output and was originally foreseen as an unplugged live album, akin to 12:5. The band played the gig only to discover after the event that the recording hadn’t worked out. Deciding instead to record the songs in the studio, this apparently ended up being as difficult and as involved as any new release and to top it all, Daniel came down with a flesh-eating bacteria last year that meant Pain of Salvation had to perform without Daniel at the Prog-Nation at Sea event, but Daniel was, for the want of a better phrase, close to the edge. So however you look at it, Falling Home has to be seen as quite a triumph over adversity. 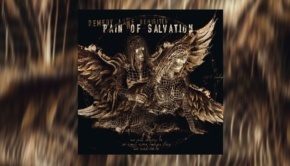 The songs can be split into three categories: one new, two covers and the rest “re-imagined” versions of existing Pain of Salvation offerings. When faced with “re-imaginings”, the most important facet will be quite how far that imagination runs and here it’s a bit of a mixed bag. Definitely different from the originals are Stress (Entropia), Linoleum (Road Salt One), Mrs Modern Mother Mary, Flame to the Moth & Spitfall (all from Scarsick). All these songs feature totally different instrumentation – as you would imagine, being acoustic, but far more than that as the feel is quite different from the originals, the shuffle/lounge approach of Stress being a stand-out, while the absent grunge from Linoleum reveals a damn fine song with more room to breathe. The Scarsick tracks are less obvious candidates for such a project and the choice will no doubt raise a few eyebrows as they’re not the most popular, but since when did Daniel ever seek consensus or do what you want, or expect? In that respect he’s rather like a cat… Although perhaps deviating less from the originals they work very well; stripped of the angular instrumentation and over-prodcution the lyrics and songs shine. All tracks give ample space for Daniel’s voice and I’ll state, once again, that I think he has the best voice in the prog genre and nobody injects passion the way he can. To the Shoreline and 1979 (both from Road Salt Two) don’t really bring anything over the originals other than a slightly more relaxed feel and arguably better production, otherwise they could be the originals. Even less changed is the rendition of Chain Sling (Remedy Lane), which sounds exactly like the original and was already “unplugged” on the 12:5 album, I really don’t get its inclusion to be honest. Finally we have the new song, Falling Home, which is very folky, initially sounding not unlike an early, melancholy Simon & Garfunkel that slowly builds with some nice harmony vocals. The song is just Daniel and Ragnar and was recorded prior to the album itself, but as Daniel mentions in the CD liner-notes, it fits very well and closes out the album well. 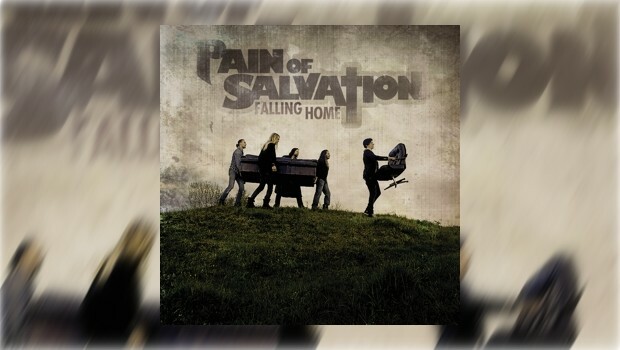 The limited edition Digipak version of “Falling Home” (58:53) includes the bonus songs “She Likes To Hide” (2:57) as #6 and “King Of Loss” (7:12) as # 12.